In each chapter, he discusses a particular book-what brought him to it (or vice versa), the people in his life he associates with it, and how it became a part of his understanding of himself in the world. These books span centuries and genres (from classic works of adult and children's literature to contemporary thrillers and even a cookbook), and each one relates to the questions and concerns we all share. Throughout, Schwalbe focuses on the way certain books can help us honour those we've loved and lost, and also figure out how to live each day more fully. Rich with stories and recommendations, Books for Living is a treasure for everyone who loves books and loves to hear the answer to the question: "What are you reading?" I was so moved by this marvellous book. Schwalbe has done something extraordinary: made a personal journey public in the most engaging, funny and revealing way possible. It is a true meditation on what books can do. A perfect book-club book about books and the community they create that also portrays the love between mother and son. a tribute to a remarkable woman and an exemplary reader. 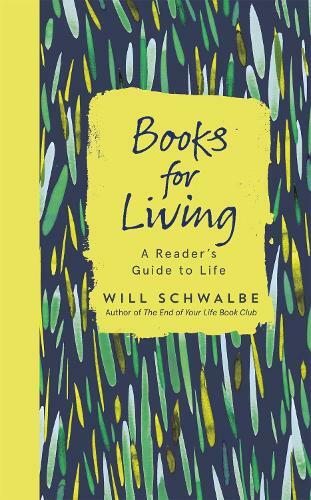 Will Schwalbe, author of ‘The End of Your Life Book Club‘ has shared with us details of more than twenty books that changed how he perceived the world and his life, in his new book, ‘Books for Living’.